The Upper Mustang trek brings trekkers closer into one of the most isolated and spiritual places in the world. 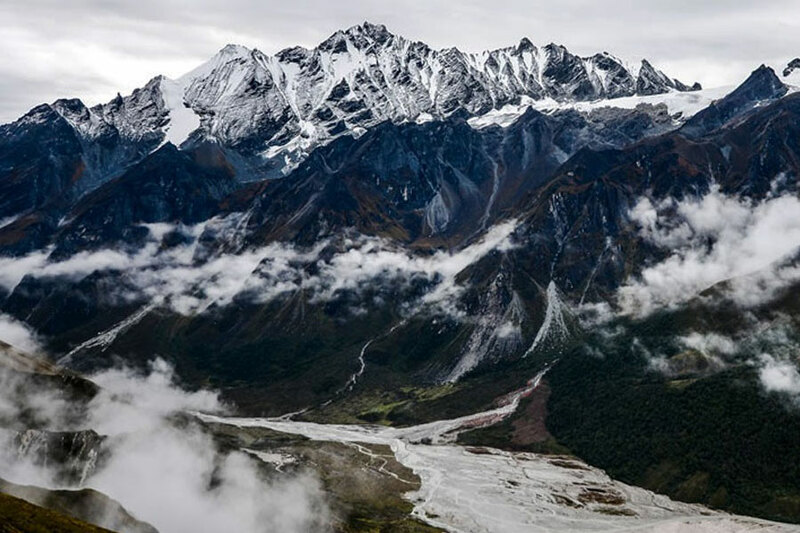 Situated on the north of Annapurna on the Tibetan border at a height of around 4000 meters, the area is topographically and culturally a part of the Tibetan plateau. Its valleys are bone-dry and dry with beautiful rock formations and cliffs. Behind them stand the Himalayan pinnacles, strikingly delightful and snow-topped. A piece of Mustang’s excellence lies in the fact that this district has been visited by very few numbers of travelers, which leaves it as one of only a handful few places on the planet where one can witness untouched Tibetan culture. In addition, Mustang is popular among the people not just as a place with remarkable scenes that will blow your mind, additionally for its great food and the production of a top-notch apple alcohol. For the daring trekkers and the ones enthused about testing, the tasting of the indigenous butter tea is an extraordinary affair and an opportunity to get close to the way of life of the locality. Advance up the Kali Gandaki River’s banks, seeing the excellence of its stunning blue waters and desert surroundings of the old kingdom of Mustang – a place where culture meets nature. On day 3, we take a 20-minute scenic flight from Kathmandu to Jomsom. On reaching we head towards Kagnbeni. The trek is moderate and filled with beautiful views. We lunch at Kagbeni and go on an excursion around the ancient village. 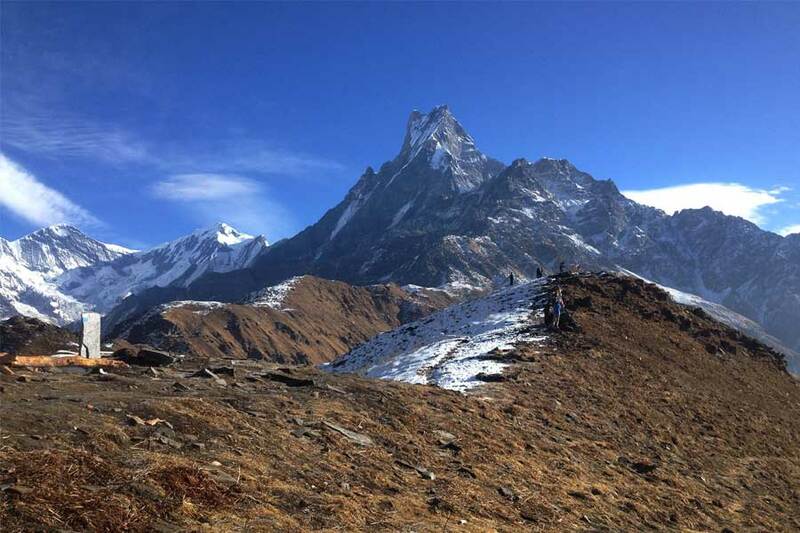 Today’s highlights include exceptional views of the Himalayas including Annapurna and Dhaulagiri, the deepest gorge in the world- the Kali Gandaki Gorge, and Kagbeni- the gateway to Upper Mustang. Overnight at Kagbeni. Today, we walk through a restricted area of Upper Mustang, after we get all permits done. Witness the great Kagbeni and Nilgiri mountain in the background, the arid desert like mountainous surrounding. On our way we stop by at Tangbe, an ancient Himalayan village. Overnight at Chele. Today we ascend a small pass at 3800 meters. The view from the pass is extraordinary – see great views of the deep valleys, canyons and giant mountains. The trek is moderate with a few climbs here and there. We reach Ghami, an ancient village filled with monastery, Chortens and mani (prayer) walls, by lunch time. Overnight in Ghami. Half an hour into the trek we come up to the longest ancient mani wall of Mustang as we make our way to the ‘Land of Chortens”. We walk the trail walked by the ancient Indian saint Padmasambhava (750-810 AD), the founder of Tibetan Buddhism. Witness rising red cliffs to the west as we make to Tsarang by lunch time. After lunch you have enough time to explore around Tsarang. Visit the white palace and the ancient monastery at Tasarang. Overnight at Tsarang. Today after 4-5 hours of trek we reach Lo Monthang. On our way we pass by an interesting ancient chorten, we see great views of Lo Manthang, valley of Thinkar and Chhosar from the Lo-La pass at 4000 meters. We also get to see ruins of ancient forts on the high hills. We enter through a gateway, the single gateway to the forbidden kingdom, that welcomes us to Lo Manthang.Overnight at Lo Manthang. After breakfast, we head for Chhosar, where we visit the Nyphu Cave monastery built into the side of a high cliff, the 2500 years old Jhong Sky Cave, and we can also visit the Thinkar summer palace or explore the extraordinary ancient monasteries inside the walled city itself. The capital city of Lo Manthang houses one of the largest and finest Tibetan Buddhism gompas in Nepal which include 4 major ancient monasteries. The city also is home to 14th century royal palace. Overnight at Lo Manthang. Today, while on our way to Dhamkar we pay a visit to the Ghar Gompa, the world’s oldest Tibetan monastery. The monastery was built by the ancient Indian saint Padmasambhava in the 7th century. The trail is beautiful and moderate with a few steep downhill trails. We stop by at the oldest monastery for a lunch! We walk high above canyons and hills to reach Dhakmar which is known as the ‘Land of red cliffs. Overnight at Dhamkar. Now, it’s all about tracing our steps back from where we came from. But, it is also an opportunity to check on the great views we might have missed out! Overnight at Syanboche. Day 12: Trek to Chusang (3040m/ 9973ft) 5 – 6 hours trek. Wait, the trip isn’t over, yet! We start early for a trip to one of the most beautiful monasteries in all of Mustang- Chungsi Cave Monastery. It is said that the Saint Padmasamvaba meditated here. We climb a steep trail to reach the cave, so the trail can be challenging. The cave lies on the side of a vertical canyon wall. We stop for lunch at Samar and then we start descending towards Chusang, a beautiful village with an apple orchard. 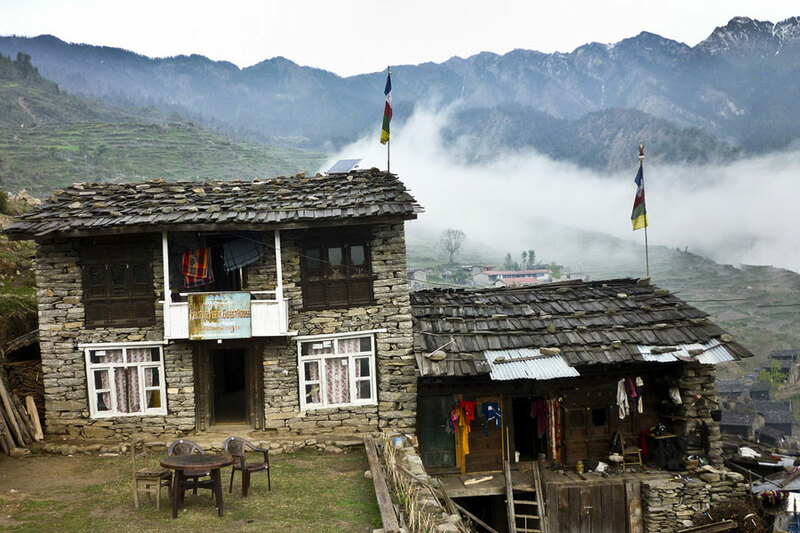 Witness great views of the Nilgiri and the Kali Gandaki. Overnight at Chusang. Today, we trace our steps back heading south towards Kagbeni today. We will be exiting the restricted area of Mustang. Overnight at at Jomsom. With breakfast done, we prepare for an early morning flight to the beautiful city of Pokhara. Pokhara is a backpacker’s paradise. It’s a fantastic place to chill and relax. The flight is also scenic as you will be flying along the Kali Gandaki Gorge between the Annapurna and Dhaulagiri ranges. Today we drive back to Kathmandu. The journey is 6-7 hours long but pleasant with nice views of green hills and rivers flowing below. If you want, we can also arrange a flight to Kathmandu which will cost you extra. Overnight in Pokhara. Special Trekking Permit US$ 500 per person for 10 days (the above price includes 10 days valid trekking permit from Kagbeni to Kagbeni. If you would wish to stay more than 10 days in the restricted area, you are subjected to an extra charge for extra days (US$ 50 per day / per person).